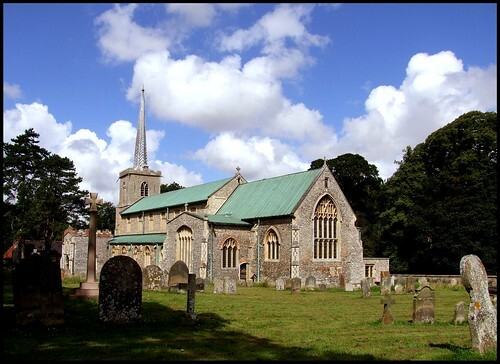 This magnificent Anglican church sprawls in its wide, ancient graveyard to the east of the village, with fields beyond. If there is a more atmospheric place than this on a crisp winter day, with the smell of woodsmoke from the red-brick cottages and the sound of jackdaws in the bare trees, then I have yet to find it. At any time of the year this is a wonderful church, sensitive to the liturgical round which frames its existence. Even if you did not know that Walsingham was a special place, you would be impressed by those wide, green copper roofs, the aisles and clerestory, the chancel transept, the spire. Only the tower does not live up to our expectations. 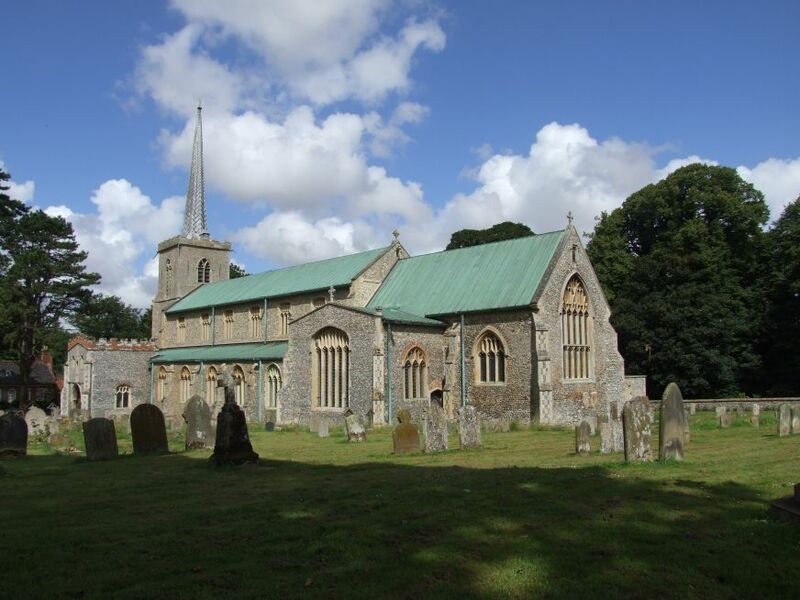 This is a great late medieval church, and for architectural reasons alone it would rank in Norfolk's top fifty, even if it was only a shell without anything of significance inside. Of course, even the name Walsingham has become a touchstone, symptomatic of an energy and a presence. Here is a village where a confusion of diverse traditions comes together for a moment, to stop and be still, and to ponder in its heart. Before the Reformation, this church was ministered to by Catholic priests, who now find their home on the Friday Market on the other side of the High Street. But the Church of England has never forgotten what happened here at Walsingham, even if it remained the preserve of antiquarians and historians for many centuries. The revival of sacramentalism in the Church of England in the 19th century, largely at the impetus of the Oxford Movement, has been explored and described in detail elsewhere on this site. Suffice to say that in the middle years of the 19th century, Anglican churches began to be restored to their medieval integrity. Chancels were reopened, altars reinstalled. What had become preaching houses were transformed into liturgical spaces. As the century wore on, this process ramified, and some churches went even further, embracing the Catholic tradition which some Anglicans believed to be their birthright. By the end of the century there was a strand of Anglicanism which taught that, in fact, the Church of England was the one true Catholic Church in this land, and that the Roman Church (the first word said disparagingly) was merely the Italian Mission to the Irish. In these Anglican churches you might find crosses on the altar, statues of Saints and (but this was in extremis) incense being used. Most would not do this. 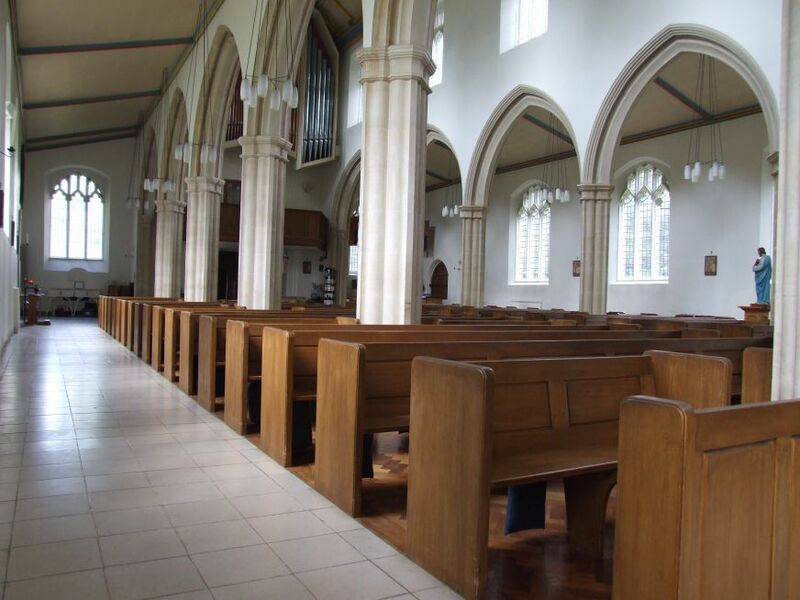 But by the start of the 20th century, Anglican churches had come to look as they do today. It is a truism when studying the Anglo-Catholic tradition that the later it was embraced, the more extreme Anglo-Catholicism in a parish would be. The tradition came very late to Norfolk, especially here in the north of the county. 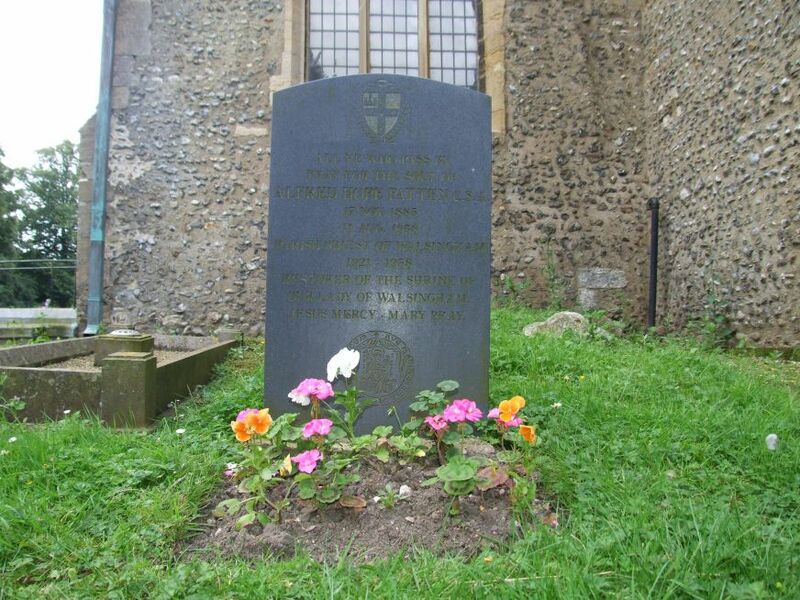 The man who transformed this parish, and the fortunes of Walsingham, was Alfred Hope-Patten, Rector here in the 1930s. 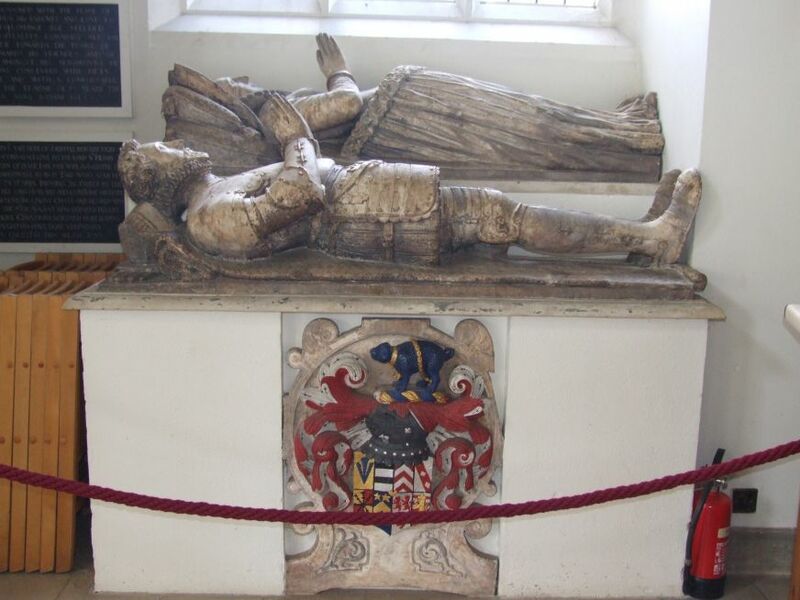 He countered the Catholic Church's Shrine of Our Lady of Walsingham at the Church of the Annunciation in Kings Lynn with his own statue, here in Little Walsingham Church of England parish church. 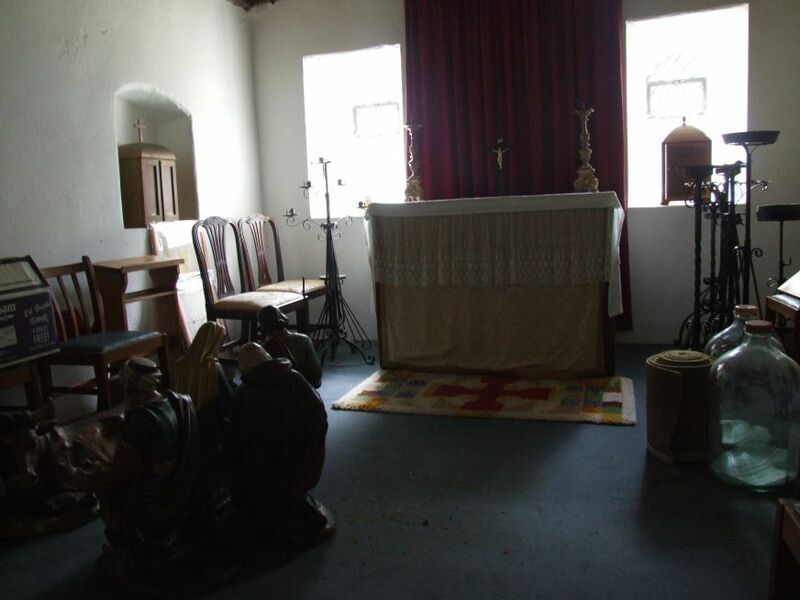 The Anglican authorities were outraged, and it is true even today that the Diocese of Norwich has never been comfortable with the presence in its midst of a Marian Shrine. At the time, he was ordered to remove it, which he did in considerable style, translating the statue to a new home, a replica of the Holy House of Nazareth seen by the 12th Century Richeldis in a dream, and building a shrine church around it, on the other side of the Priory ruins. 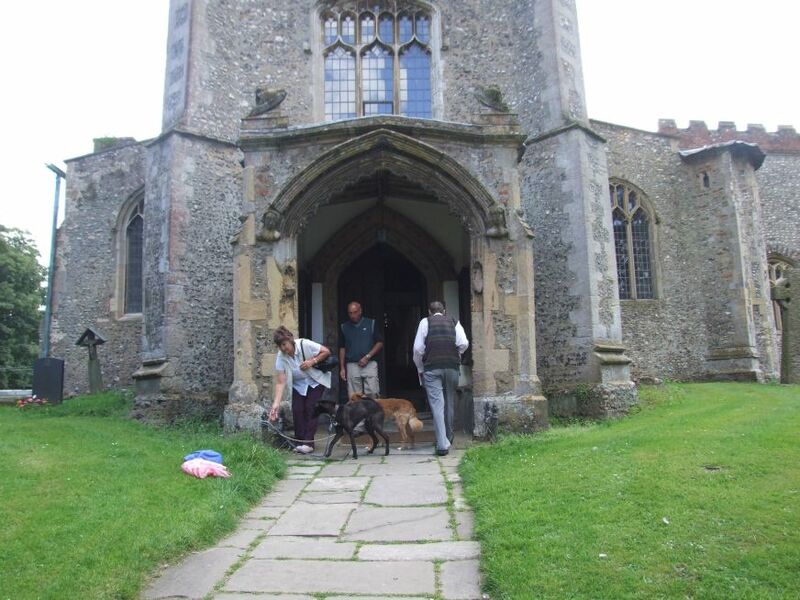 We will visit the shrine in a separate entry, and for now, enter Hope-Patten's church. Unusually for Norfolk, you enter from the west, and step into an outstanding light and open space. This is because of an event even more violent than Hope-Patten's Anglo-catholic enthusiasms: on the night of the 14th July 1961, this building was destroyed by fire. All that survived were the tower, the lower parts of the walls, the font, the brasses (they were set in the floor) and a memorial or two. Of these, the font is the most significant, because it is one of the Seven Sacrament series. Some people consider it to be the best; Pevsner, for example, called it the perfect Norfolk font, noting that a replica of it was displayed at the 1851 Great Exhibition. Perhaps it is a little formal compared with the joys of Binham or Dereham, and several more fonts in Suffolk. Confirmation faces east. Anti-clockwise are Baptism (NE), Ordination (N), Matrimony (NW), The Crucifixion, the odd panel out (W), Last Rites (SW), Confession (S) and Mass (SE). My favourite panel here is Confession, depicted in front of a screen with several heads peeping over to see what is going on. 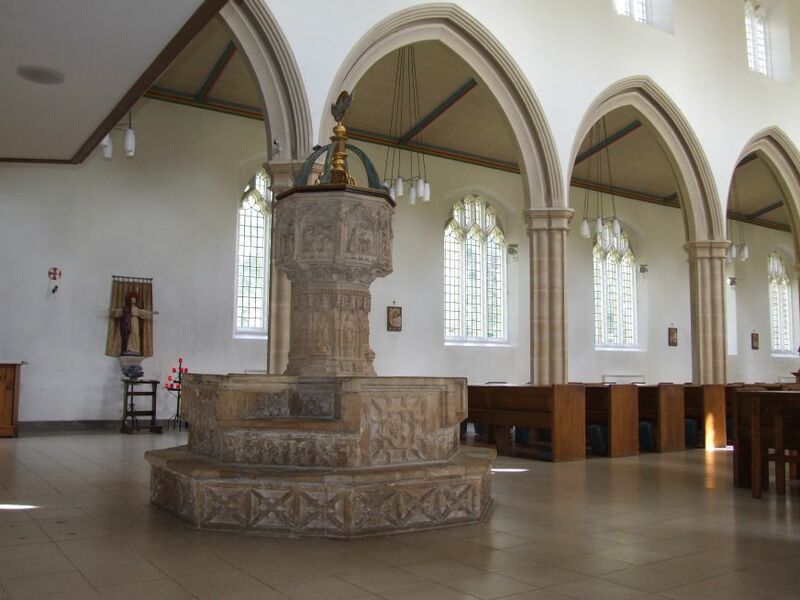 The font cover, at first sight a 17th century survival, is the 1964 work of John Hayward, and is symptomatic of the restoration here, which attempted to replicate, as far as possible, the lost church, without its 19th century trappings. That said, there can never be any doubt that the interior is a child of the sixties, with bright wood and polished white marble all around. Laurence King was the architect. It feels like a Catholic church of the period, which was perhaps an intention. Hayward was also responsible for the east window, which certainly suits the building well, although it is not in itself particularly wonderful. It must be thankful for the white light all around. 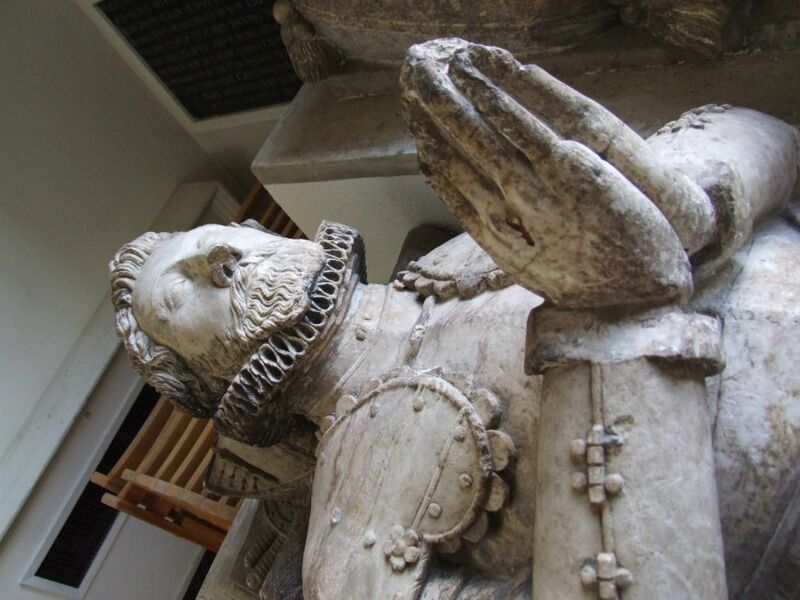 The major survival other than the font is the memorial to Sir Henry Sidney and his wife. They are tucked away at the west end of the north aisle, cordoned off as if they were an embarrassment rather than to protect them. It is most odd. 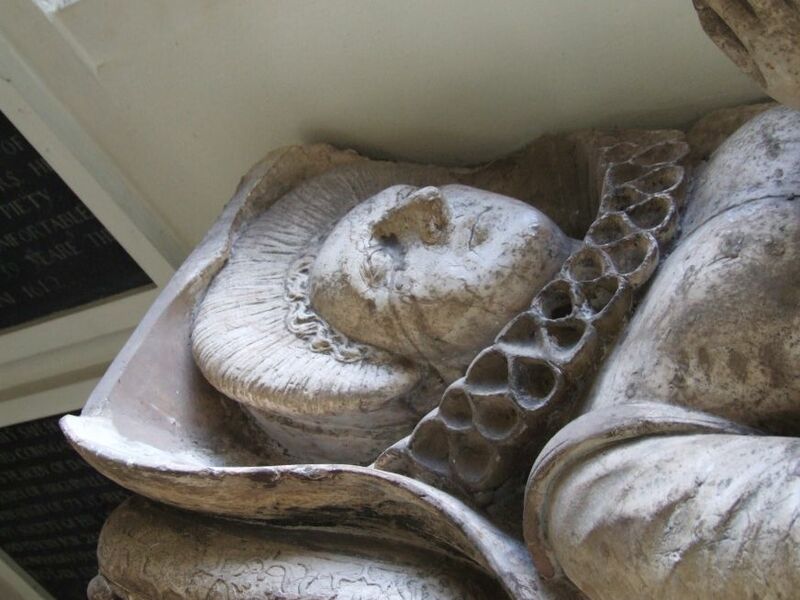 Sidney died in 1612, and this memorial is typical of the period, and rather less magnificent and interesting than many. Before the fire, it was in the north chapel, which is now a beautiful open space with a fine reredos by George Bodley, typical of the best of 19th century Anglo-Catholicism. 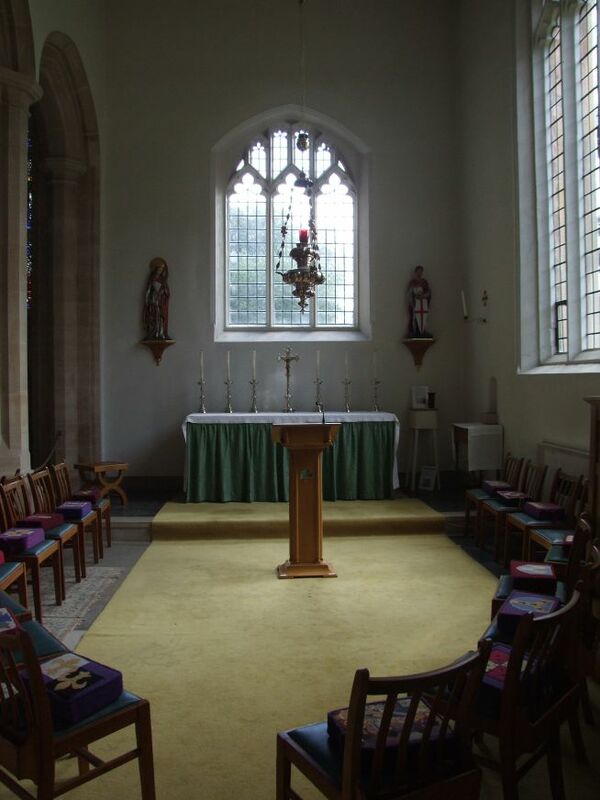 But in the 1880s, Walsingham was still a backwater dominated by protestantism and non-conformism, and so the reredos cannot possibly have been here originally. I wonder where it came from. As the tide of Anglo-Catholicism in England has quickly receded, many artifacts from redundant churches have made their way to Walsingham. There's no doubt about where the touchstone of the tradition is now.